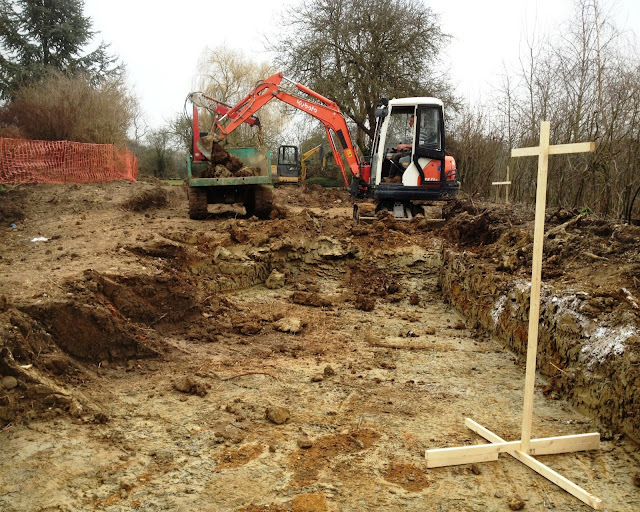 We are pleased to be able to tell you that construction of the Riseley Eco Cottage has started. We are currently lowering the ground level so that cottage has a low profile and sits comfortably with the adjoining houses. The the next step will be putting in the foundations and this will involve more concrete and steel than we would really like for an eco cottage. We also are taking care to construct our foundations in such a way as to avoid damage to a eucalyptus tree in the adjacent garden.